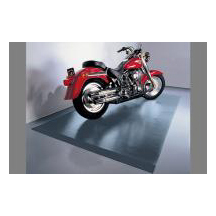 The Motorcycle Mat – Ribbed Vinyl is a Heavy Duty mat tough enough for any tire or kickstand. 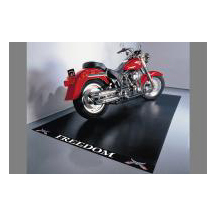 Comes with or without the Freedom Label imprinted at the end of the mat. Available in Slate Grey and Midnight Black. Great for Motorcycles, ATVs, Golf Carts, and more. Measures 5′ x 10′ – covers 50 sq. ft.